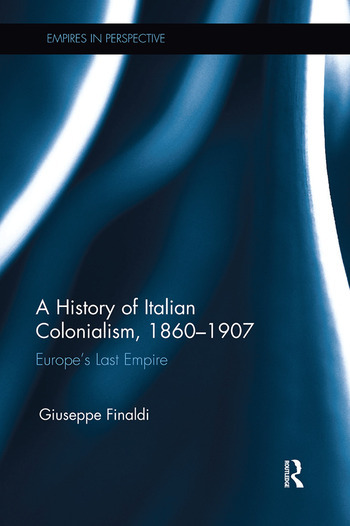 This book provides a narrative history of Italian colonialism from Italian unification in the 1860s to the first decade of the twentieth century; that is, it details Italy’s imperialism in the years of the Scramble for Africa. It deals with the factors that drove Italy to search for territory in Africa in the 1870s and 1880s and describes the reasoning behind the trajectories adopted and objectives pursued. The events that brought Italy to open conflict with the Ethiopian Empire culminating in the Italian defeat at Adowa in March 1896 are central to the book. However its scope is much broader, as it considers the establishment of Italian power in Eritrea as well as Somalia before and after the defeat. By telling its history, it explains why Italy emerged irresolute and humiliated in this, its first thrust into Africa, yet nonetheless determined to pursue expansion in the future. The seeds for the conquest of Libya in 1911 and Ethiopia in 1935 had been sown. Giuseppe Finaldi is Senior Lecturer in History at the University of Western Australia.